KPCC political reporter Sharon McNary, will let you take your pick... An easy-paced beach cruiser bike ride, or a coastal bike tour. If you choose the beach cruiser ride, you and up to three other riders will roll along on this scenic cruise, take in the sights from Santa Monica to Manhattan Beach, with a coffee and snack break midway. Plan on this experience lasting about 3 hours, and all participants must supply their own bikes. 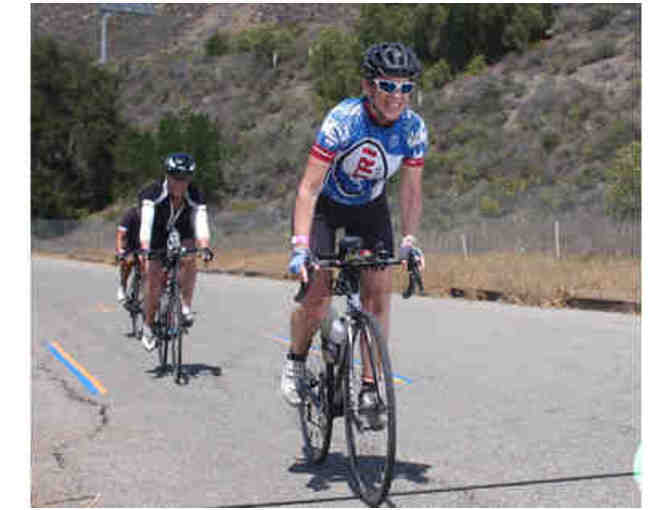 If you choose the coastal road bike tour, you and 3 friends will join Sharon for a ride along the spectacular Pacific Coast Highway. Participants must bring their own bikes and the distance depends on skill levels, but plan on this lasting about 3 hours. Experience must be scheduled within 6 months of purchase date. Your support matters, so Southern California Public Radio would like to use your information to keep in touch about things that may matter to you. If you choose to hear from Southern California Public Radio, we may contact you in the future about our ongoing efforts.